Lord Fandango will back up quickly from the Zipping Classic to the Ballarat Cup. Missing a race during the Melbourne Cup carnival at Flemington has brought the Ballarat Cup into focus for Lord Fandango who will be striving to win his home-track feature on a seven-day back-up. Lord Fandango was due to run in the Queen Elizabeth Stakes (2600m) at Flemington on November 10 but was scratched on race day because of a mild bout of colic. 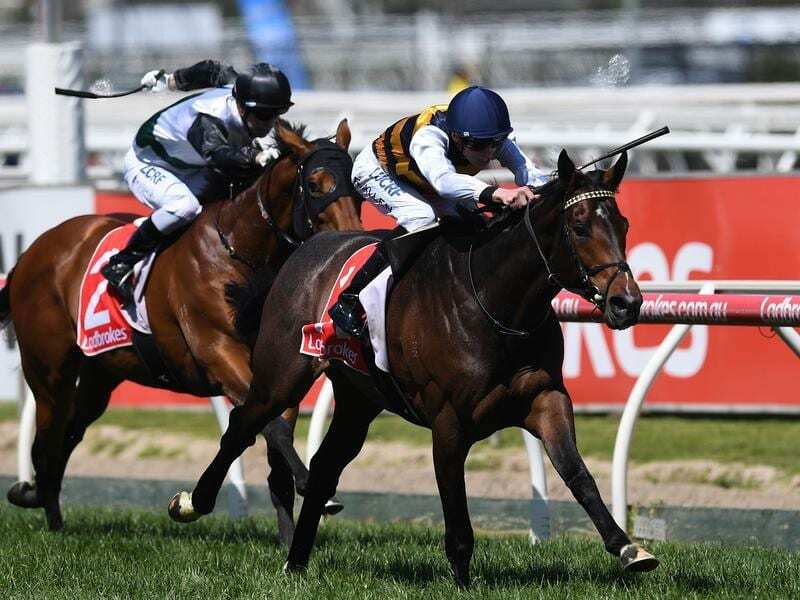 He lined up a week later in the Group Two Zipping Classic (2400m), finishing fourth and trainer Archie Alexander has pressed on to Saturday’s $350,000 Listed Ballarat Cup (2200m). “He should have gone Queen Elizabeth into the Zipping Classic and that would have been it,” Alexander said. “But he missed the Queen Elizabeth so it’s instead been the Zipping Classic into this. Englishman Alexander has been based at Ballarat since he began his training career just over four years ago and said it would be a great thrill to win the local feature. Alexander was pleased with Lord Fandango’s Zipping Classic showing when he finished just over two lengths from the winner The Taj Mahal with Dal Harraild a close second. “They were pretty handy horses who beat him and maybe if I’m being a bit critical he (John Allen) might have just let the first two get away just a bit too much. They’re pretty good horses to give a five-length head-start. “But I thought it was a good run. “”He’s done well on a quick back-up before, running fourth in the Caulfield Cup last year. Lord Fandango, who will have Jordan Childs back aboard on Saturday for the first time since the Benalla Cup in September, has a wide draw in the big field. “He’s got a bit of a bad gate so he probably needs to push forward a little bit,” Alexander said. Lord Fandango was at $13 on race eve with Lucky For All the $3.90 favourite.